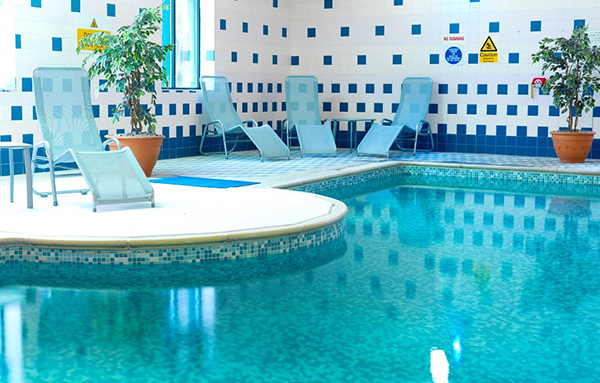 The Juvenate Health and Leisure Club at Jurys Inn East Midlands Airport is situated close to East Midlands Airport in Castle Donnington. Our gym & swimming pool offers an excellent workout or relaxation dependent on your needs. The gym is fully equipped with a range of cardio & resistance equipment, along with a free weights area. You can access the wet facilities, which include an indoor heated swimming pool, spa pool, steam room & sauna. Take a look at our facilities, call our team to arrange a tour or join online today! Children are welcome to use the pool area however those aged under 16 must be accompanied by an adult. At Juvenate Health & Leisure club we provide exclusive facilities in order to meet all your fitness, wellness and relaxation requirements. Want to try our facilities for FREE or have a question? Would you like to try the club before you join. Fill in the form below and we will email you the pass. Not to be used by ex-members. For further information please speak to your club. Must be booked in advance. Terms and Conditions apply. Only one use per person.